David Dafoe, the man behind your favorite soft drink creations, talks shop about cocktail sodas, aroma vs. taste, and the one flavor he still refuses to make. When Flavorman founder David Dafoe finished his zoology degree at Miami University, he thought he wanted to be a doctor. Dafoe quickly realized he had a unique ability to identify and understand smells and tastes—a skill that would eventually lead to a decades-long career as one of the country’s biggest flavor developers for soda brands, energy drinks, mixers, and beyond. 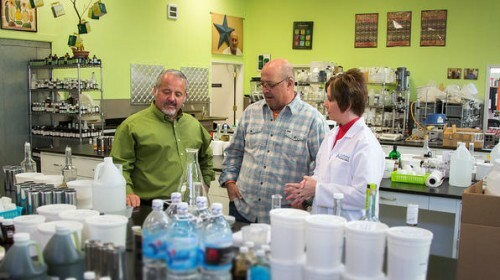 At Flavorman, Dafoe and his team put their impressive sensory abilities to good use, crafting beverage flavors for companies like Jones Soda, Ocean Spray, and more. Find out the strangest drink Dafoe has crafted, his personal favorite soda, and the one flavor he refuses to make into a beverage. Do you drink soda? 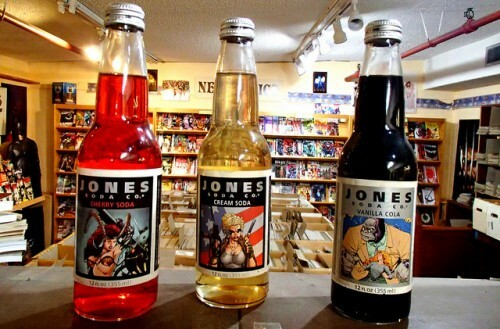 What’s your favorite “classic” soda flavor? I’m from the TAB generation, but I really like its flavor. I drank it a lot in college. I like the flavor of diet drinks. If I’m drinking a soda, it’s a Diet Pepsi or a Diet Coke. My very favorite is Fresca. My grandmother drank Fresca when I was growing up. It’s coming back! I fly a lot on Delta and they have it there. Where has the intersection of cocktails and soda been the most interesting for you in flavor creation? I’ve been doing this a long time, and we get all kinds of odd requests. We’ve made soft drinks that tasted like alcohol, from a bourbon and ginger to a gin a juice. There was a time when folks said, “Why don’t we make something for folks who don’t want to drink or can’t drink?” We’ve done lines of drinks where they taste like margaritas without the tequila. What’s one of the strangest flavors you’ve been asked to create? We got a request for a hay flavored soda, like that horses eat. Apparently in Russia, there’s this thing where they would put put hay in vodka to kind of flavor it like hay. I’ve been told it was done in Poland, too. It tastes just like it smells. We can make these drinks taste like if you were sitting on a pile of hay. How do smell and taste intersect when it comes to flavor creation? When we’re working on flavors in the laboratory, we’re doing it all by smell first. We don’t even taste them at first. If the aroma doesn’t work out right, the flavor for sure won’t. After that, we start tasting the samples. When it comes to beverages with alcohol in them, aroma is even more important than the flavor. A really dynamic aroma is necessary. What’s one of the best selling flavors you’ve created? We did a product about 10 years ago for a husband-and-wife team who wanted to develop a soda that’s good for you. Now we see quite a few of those, but this was early on. 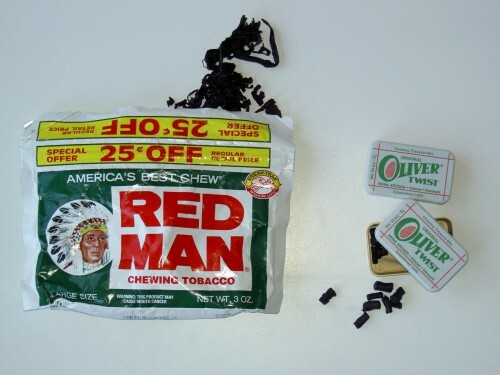 I remember thinking, “Oh my god, OK. Sure.” He wanted to add some vitamins and minerals to it, he wanted to keep the calorie content low, and wanted to make non-traditional flavors. He didn’t want to use a cola flavor, or orange, or lemon-lime—what we consider the “heritage” flavors. He wanted something that had a healthy perception, so we did things with pomegranate and tangerine. Their tagline was “The Good Soda” and Pepsi Americas actually came along and swiped it up. It was a real sleeper. We did eight different flavors. Are there some flavors you refuse to translate to sodas? Have you ever turned down anyone’s idea? Yeah, we do that all the time, especially when it comes to not having the distribution and price. It’s really best for them. Some clients just have really outlandish ideas. One company wanted us to make a tobacco flavored soft drink, and I said, “I’m just not doing that.” Some things we just think are out of bounds.